Jeff and I took our final trip (before I started my new job) of this journey last weekend. We decided to sneak off for a long weekend in Tulum. We chose the location because it was easy, we love it and we needed a break from the cold and rain. It wasn’t until we were there that I realized that our first trip, upon my leaving my job, was Tulum. A couple of weeks into my sabbatical, we hosted a birthday party for a friend there. Completely by accident, we came full circle and book-ended this year in the same location. However, as we ate, drank, yoga-ed and sun bathed our way through the weekend, I made a startling second realization. Tulum embodies all of the cultures that we experienced during our year of Finding Ubuntu. The Indian culture was evident in multiple ways - in the yoga culture and the occasional Ganesha sighting while strolling about. I even realized that the kite surfing school’s logo was in Sanskrit - seen on the Taj Mahal and the temples of Japan. In addition to this, for every Ganesha, there is a Buddha around the corner. You don’t have to go far to see wind flags like those dotting the terrain of Bhutan. That and incense and copal abounds. The fresh grilled sardines at The Real Coconut, made me long for lazy lunches in Croatia. Jeff craved Nutella crepes as good as any in Paris. Lastly, I would be remiss to not mention our old favorite, Posada Margherita, a little slice of Rome on the beach. Tulum also has its own unique special offerings: pristine beaches, cultural diversity, my favorite restaurant in the world and a hippie, spiritual, hipster vibe that takes the best of some of my favorite cities and mashes them together. However, the most meaningful part of our trip was the ubuntu. Jeff and I decided to pop into Casa Violeta, where we hosted our guests last year, in search of Damien. A year earlier, he had made our trip with his antics and really embracing our group’s celebration. Low and behold, he was there behind the bar. He was quick to greet us with hugs and kisses, join us for part of our breakfast and invite us back. He told us how much he missed waiting tables and connecting with the guests, something his new management role had taken him away from. He updated us on his travels with his mom and his hopes and dreams. He continued to tell us that he wanted us to consider his place our home and invited us back. One thing is for sure. This year has changed me. It has pushed me off of my center and given me a new, more solid foundation. I feel like I was stripped down raw and built completely anew. It was hard. Very hard. And rewarding. I am still me; but, perhaps, more so than ever before. 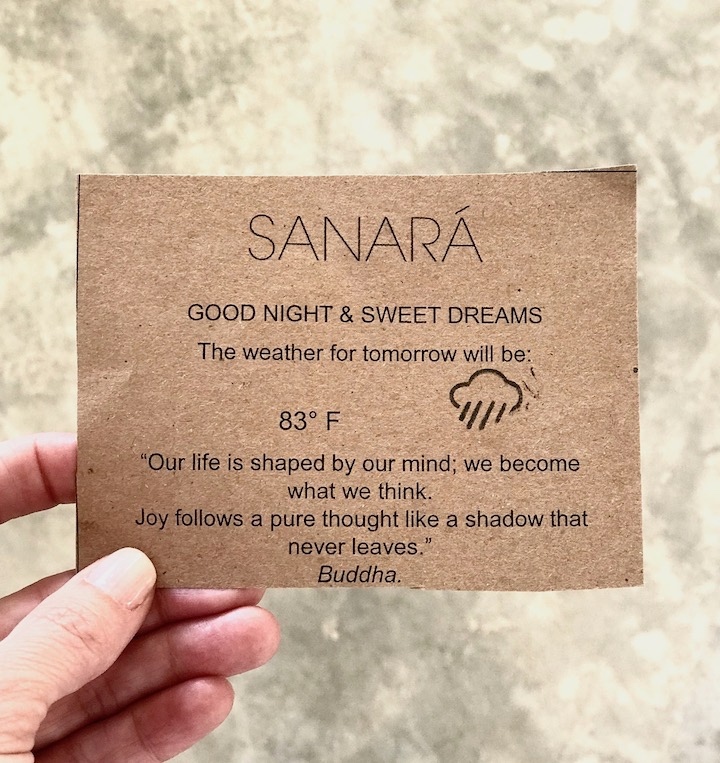 And, I have learned that “Our life (really) is shaped by our mind; we (do) become what we think.” Bold thinking enabled this crazy year and joy did follow, albeit “like a shadow”. 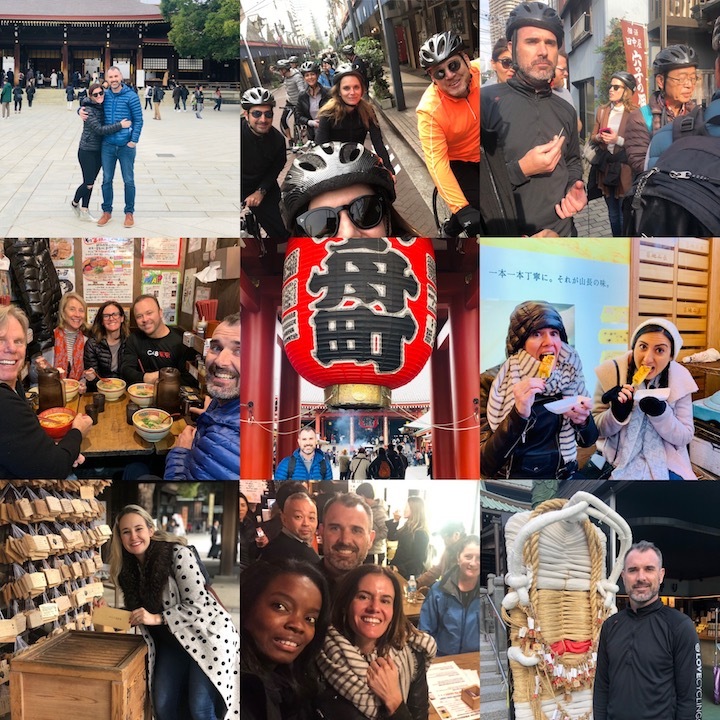 Jeff and I had the amazing good fortune of being invited to Japan to share an epic experience with some of the people that we have fallen in love with. Note: these are the same people that inspired us to kick off this journey so it seemed only fitting that we cap it and the year with them. While the jet lag has me fuzzy and still processing, I can't help but think of John Maeda’s, The Laws of Simplicity. Whether we were at Senso-Ji, The Mori or just observing the beauty of the Japanese culture, we saw each of the laws in full effect in Tokyo: Law 1: Reduce, Law 2: Organize, Law 3: Time Law 4: Learn, Law 5: Differences, Law 6: Context, Law 7: Emotion, Law 8: Trust, Law 9: Failure, Law 10: The One. As I sat down to write this blog, I found myself applying examples of each law to the Japanese culture but then began to think about how they also apply to real, meaningful relationships; and, of course, I also see a parallel in them to this year and now my job search. It really is mesmerizing how much you can pull from them and draw correlation to. Rather than spell it out, I invite you to check them out and see what they mean to you. It has been almost 3 months since we have been back from our travels. The kids have started high school and middle school and Jeff is settled back into work. I kicked off my job search in earnest and life appears to have returned to normal. I, however, find myself yearning for another big trip. Perhaps it is the need for the purpose that the last grand gesture fueled. Or, maybe, I am longing to have the same level of intimacy with Jeff and the kids again, away from the distractions of screens and bills. The most obvious answer is that I just need a job. Whatever the reason, there is a growing restlessness inside me that feels the urge to do something big. I want to run hard but don’t know what to run to or from. After all, despite the counsel of many to slow down, high intensity is my comfort zone. In this moment, I felt the urge to pull up an email sent to me by one of my favorite people in the world. (He sent it in response to our kick-off of our year of #findingubuntu.) The middle paragraph hit my heart in the most profound way and today, I am trying to be still with it. The (Not So) Perfect Egg. As we wrap up our second leg of Finding Ubuntu, our return home proved to be an adventure. It’s safe to say, we got FU-ed. What started with one delay, turned into 3 delays, deplaning a flight, a cancelled flight, an overnight stay at CDG airport, 3 rebooks, and one more delay. I had been up since 4 AM watching the alerts and changes come through, speaking to the AA helpline folks each time. 24 hours later, when another change alert came through, I took matters into my own hands. I called the AA helpline (for the 10th time) and politely pleaded with them to change carriers and switch us to the BA flight that got us into Austin by 4:20 PM (how appropriate). Luckily I got the nicest voice on the other line and he made it happen. I lost our upgrade in the process though so, while we waited to board, I began the loop of going from the AA to BA ticket counters, with Amelia in tow. Each one sent me to the other, stating that they couldn’t complete the upgrade - even though there were open seats in Business class and I was willing to pay for it again. The ticket was sold as BA but booked as AA and then returned to BA. So a round and a round I went. I became a bit obsessed with it and my patience, which I was trying to role model for my daughter, was finally starting to wear thin. I stomped away from the ticket counter and Amelia snapped. She said emphatically: Stop caring about the upgrade. I don’t care about the upgrade. I felt myself start to get a bit emotional. My first reaction was hurt; I was trying to make sure that she was comfortable on the way home and I was willing to go to any length to make it happen. My second reaction was to recognize that she was tired, hungry and frustrated too. However, my third reaction came upon her next comment. 10 minutes later, she bounced back and said: you know, it really is amazing when you think about how an airport works. So there you have it. She had the very perspective I was trying to give her, except, she gave it to me. All the while, I was focused on getting us into comfy seats, she saw the bigger picture; and, on top of that, she was impressed by it. After all, AA was trying to do the best they could do and there were probably at least 300+ other people, just from our first flight alone, experiencing the very same issue at the same time. Nothing finds Ubuntu like a shared experience, good or bad, and Amelia found it first this morning. This year Quentin graduated from middle school and Amelia from elementary. It was a big milestone that we interrupted our travels to return for. However, due to the fact that we un-enrolled the kids, there was a bit of a hiccup with Amelia's graduation. There she was all dressed up and excited to be with her class. And when the moment came to call her name...they didn't. They skipped right over her. (It appeared that they had pulled the list while we were out, even though she had been back for some time.) Luckily, one of her classmates jumped from behind the stage and alerted everyone. They then called her name but it was awkward and they had no diploma for her. It wasn't exactly what Amelia had pictured. So, we decided to surprise the kids and do a do-over graduation. 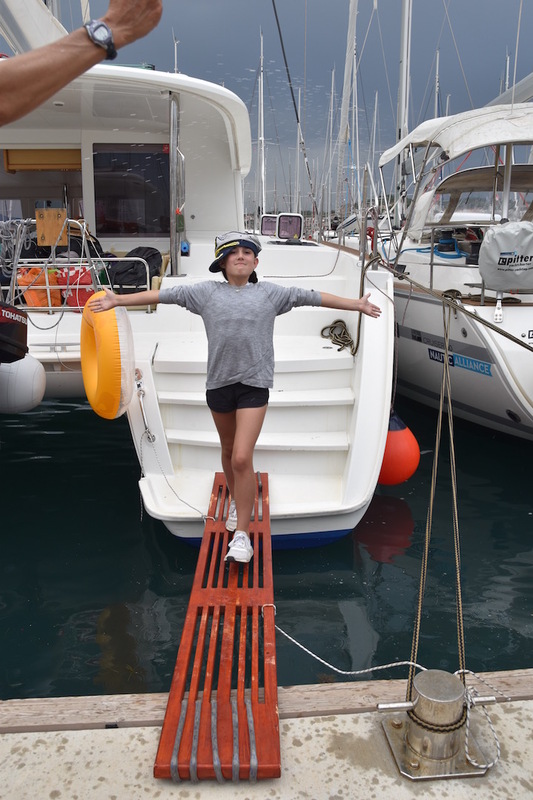 Upon arriving back in Trogir, at the end of our sailing adventures, we started blaring pomp and circumstance, had giant lollipop diplomas, a cap (well, a captain's hat anyway) and sprayed them down in champagne. I think that Amelia approved. I picked up my phone for the first time in days today to check on things back home. I was shocked to learn that in one week, Kate Spade and Anthony Bourdain had both committed suicide. I was shaken. Kate, at 55, seemed to have it all. She had built one of the world’s most recognizable fashion brands which she sold in the late 90s. She had a foundation and in the last year was launching a new brand. She had a husband (although separated) and a 13 year old daughter. On the outside, it even appeared that she was adored by her brother-in-law. She’s been described as funny, whip smart, kind, pretty and - no doubt - a creative. All the things we girls want to be, no? How was it possible that she had nothing left to live for? How was it possible that her pain had exceeded her ability to endure it? Anthony Bourdain, at 61, seemed to share in her success. He appeared to be in love, also left behind a young daughter and an amazing career. His life was all about ubuntu and sharing that humanity with the world via his show. I must admit that I had a bit of a secret crush on this bad boy of the foodie world, especially when he took such a strong stance in support of his girlfriend and women as part of the #metoo movement. There was something about him that just made you want to hang out with him and be part of his circle. That said, it isn’t hard to believe that he may have struggled with depression. He had been open about his challenges and vices; but it was shocking, nontheless, that he would take his own life in a hotel room. I can’t help but think of the Golden Mean Principle when it comes to Kate and Anthony. Do the higher you go, the harder you fall? In my own life, I’ve reached heights that I hadn’t even imagined for myself. However, this year has also brought its share of lows to put things into balance. Taking time off and finding my place in our family has had its moments. Establishing my identity outside of work has been tough. The job search is a roller coaster. I miss work. I miss having a team. I miss having a vision and seeing it come to ground with the help of amazing people. I would be lying if I didn’t have days where I didn’t feel lonely or even a bit lost. Appropriately so, I’m half way through Brene Brown’s, Braving the Wilderness. An intuitive friend gifted it to me soon after I quit my job and I’ve just now mustered the presence to crack it open. In the book, she writes about how we are increasingly becoming a lonelier society. She calls the place that I have visited frequently this year, “The Lonely Place”. The interesting thing is that you can experience this while being surrounded with people you love - a sentiment not unfamiliar to leaders. All this being said, I did take (what is quickly becoming) a year off with intent. As someone who always operated from a strong sense of gut and mind, I had lost total connection to my heart. Re-connecting to it is real work. However, I am making progress. My hope is that at the end of all of this, that I will be a better wife, mom, sister, daughter and, ultimately, leader. And, I will see Kate and Anthony as reminders that every day, good or bad, is precious and every morning is a fresh start. So far, the most powerful part of our trips has been the ubuntu. It was my biggest hope for this trip and has proven true - connection to and compassion for others from different backgrounds has been the best part. Then in came Bruno. He was our skipper for 6 days of sailing the dalmatian islands. At 25, he impressed me with his ability to plan, multi-task and read our interests. He was hard working, super social and dreamed big. One of the highlights for me was a dinner he arranged on a farm on the island of Vis. We had Peka and a 5 course spread that was harvested straight from the grounds we were on and sea that we overlocked. Anchovies, sardines, arugula, proscuitto, sheeps milk cheeses, pea soup, risotto, sea food pasta, veal peka and home-made cheesecake made from ricotta and tart cherries. We even drank wine produced by the magical couple who had escaped city life to raise their children in a simpler enviornment. The husband, Phillip, had been a chef all over Europe and the wife, Maritza, glowed from her own home-made salt scrubs and rose-coconut skin care concoctions. It was a magical night. Made possible by a family that opened their home to us and a skipper young enough to be my own son. However, the real connection found was between Bruno and Q. There was something about Quentin that put an instant smile on Bruno’s face. He would laugh at his antics. Q nick-named him Brunski and would tease him until Bruno would lift him up and threaten to throw him off the boat. As Bruno prepared scampi for us, Q watched him cook and said: Every girl wishes she had a Bruno. In that sentence, he summed up his mutual admiration. On our last night together, Bruno expressed concern about the fact that Q wasn’t playing a sport and drinking too much Coke. He stressed that we needed to get him into Tennis or Soccer, suggesting that he could be the next Messi because of his size. It was the sort of conversation that you have with family. When it was time to say our good-byes, there were hugs and misty eyes (reminding me of our guides in Bhutan.) Bruno hugged Q, then looked into his eyes and said to Q, you will be a star. I have a feeling Bruno will be too. Today I find myself thinking about authenticity and intent. Recently, while scrolling Instagram in what I thought was a fairly innocuous attempt to gain inspiration and ideas, I came across a post. It stated: Spend less time watching other people live their lives and spend more time enjoying your own. It hit me hard and left me feeling sick. I put my phone down immediately. It also changed my perception of social media significantly. You all must be thinking at I am a total dolt and late to making this very obvious realization. The challenge is that somehow I thought that I was immune to the trappings of social media. I am a visually stimulated person that loves design so I thought that I was different. However, before Instagram, I would waste hours on Pinterest and before Pinterest, I had an addiction to magazines. (Don't even get me started on reality TV.) Now while I justified this time as my creative outlet, while on it, I wasn’t creating a damn thing. I was consuming. And consuming. And consuming. Sure, all of it fed my aesthetic and certainly inspired me to tackle a big renovation; however, that was 9 years ago. I haven’t really done anything creative since. The post made that very clear. It also made me question my motives. Was I really gaining inspiration or just escaping? How much of my life had I already wasted? What if I channeled all of that time and energy into something else? So, I decided to take a break. We won’t be posting photos of the trip while on the trip. For one, I want us to be present. Secondarily, I don’t want to paint this romantic picture that may not reflect the whole experience. I am sure that we will eventually upload photos to the blog and Instagram, but only once I am clear on the intent and I am sure that the photos authentically represent what we have experienced. Or, we may just keep them for ourselves. In the 2 days that we toured Rome, it seemed that Gelato made the biggest impression on the kids. We managed to have it 6 times. Amelia is all about Nutella and Q, Limone. They are now considering themselves connoisseurs and applying their expertise in Croatia. In fact, my kids who could live on PTerry’s have been much more adventurous on our travels. Who knew that Q would love black cuttlefish risotto or order fish soup, staples of every Croatian menu. The trick is figuring out how we get them to branch out at home. I think that the answer is that I need to learn to cook and cook with the kids. The Pantheon. Mind blown. I have no words. Trevi, The Roman Forum, The Colosseum, The Vatican, which included the Sistine Chapel and St Peter's Basilica + a food tour. Not to mention an adorable hotel just off of the Piazza Navona. Thank you small world travel for helping us pack in so much into 48 hours. Ok, so booking a flight out on the last day of school and a double graduation may have been a bit aggressive on my part. Nothing says FU (Finding Ubuntu) like getting the hell out of town as fast as we possibly can. The scramble today took its toll on my kids. What was supposed to be an exciting and fun way to close out their school year became stressful. Good-byes were rushed, fits were thrown, parties (and a funeral) were missed, tears were shed. These days I am feeling less emboldened and more guilty. Perhaps everyone would just be better off if I just took a job and got out of their hair. While I embarked on this plan to show my kids the world and what life outside of their phones and bubble was like, I am now realizing how egotistical that was. It is actually working out to be the other way around. In The Conscious Parent, Dr. Shefali Tsabary states that our children are born, not to be fixed by us but to teach us. I’m reminded of Q’s reaction to India - where I saw poverty, he saw community. This is all to say that while this next leg to Italy, Croatia and France is certainly a different trip (and hardly off to the same auspicious start as the last one), I’m open to what it will bring. I think that we (I) all need it. What did I get out of this trip? This was more than a trip. I felt like we were literally living in another world. We didn’t make it seem like we were really there just to see things. Our first day we were greeted with flowers and that made us feel good. It showed us that people who have never met you care about you. Also, what I got from it is that people almost practice religion like it is a job so I would like to take that sort of dedication into my school work and just effort in life. Also, I have learned to never take the easy way out, because if you can endure this kind of trip you can do pretty much anything. But the main thing I took from the trip was to treat people how you would like to be treated. We have learned to do this since pre-k, but now that I did this trip I now treat people better than I want to be treated. Because there is always more that you can do to help. Right now, I am on the airplane headed back home. When we were in San Miguel my mom kept on asking me, what did you experience on this trip? And, what did you learn? I told her I did not know. I was still sucking it all in, but now I do know what this trip meant. My mom took us on this trip to experience something that not a lot of people get to experience. Not only did I see how different every culture is, I also experienced their life style. I realized that it did not matter if they lived on the side walk or in a really bad neighborhood, they all had a style of living. It all worked for them. It might not be our Austin, but it is good enough for them because of the people around them. I have learned way more on this trip than I can imagine. I learned about culture, all the temples, the community and so much more! One thing I learned is, how much this trip makes me appreciate home. Throughout this trip I have missed, my classmates, my friends, my dog, my bed, and my teacher. Something that shocked me was how I did not miss my phone. I loved playing cards with my brother, and having conversations with my family. This trip has meant so much to me and one day I hope to bring my kids on a trip this big. We have definitely been slow rolling it since arriving in San Miguel. As you can tell, we have even slacked on our posts. It was been a welcome reprieve to the intensity of the last 3 weeks. Yesterday we celebrated Quentin's 14th birthday. We kicked it off in grand fashion, surprising him with Mariachis before breakfast. They entered the home, 3 generations in matching cream suits, singing Las Mañanitas at the top of their lungs. They then surrounded us in the courtyard and continued his private concert. They danced, laughed and messed with him. My mom, who had just showered, danced in her robe. My father sang along. It was a moment that we will never forget (and something that I am considering making a tradition). The rest of the day was spent strolling, napping, eating, drinking and (of course) surfing local real estate listings. Happy Birthday, my sweet Q. I love you. While the first 3 weeks were intense, averaging 2 nights per city, multiple flights, train rides and road trips, this leg allows us to “slow travel". We will actually rest our heads on the same pillow for the next couple of weeks and immerse ourselves fully in San Miguel de Allende. This portion of our travel is also different in that my parents, sister and niece are joining us. Jeff pointed out to me a few days ago that this is our first time traveling together with my parents in 10 years and its been over 20 years since we have travelled with my sister. San Miguel may not seem like an “off the beaten path” choice; however, it was a deliberate decision to experience Semana Santa. After these 5 weeks are complete, our kids will have touched 5 religions, across 3 cultures. As a family, we have never belonged to a place of worship but I do consider us to be spiritual. Interestingly enough, when we asked the kids what they wanted to bring back from our trips, Q stated that he wanted to start attending church. A surprise, given that we have dragged the kid to over 50+ temples in the last few weeks! I thought for sure we had burned them out but instead it lit something up. We look forward to continuing to find connection to ourselves, our family and the community that we are living in. Baby I'm back (at least for today). In the day that I have been back in Austin, I have seen that India and Bhutan is very different. For example, I don’t have to look for a water bottle whenever I need water. Or when I am craving a certain food, it is easy to get that food. In India you only really can eat a certain range of food - like rice, chicken, curry, and spicy stuff. But in Austin you have the choice on nearly anything. It is also cool to see the different kinds of snacks. For example, they have different size sodas and different flavored Lays. This goes for Bhutan too. Another example of how things are different is the traffic. Honking is for letting people know you are here and honking in Austin is when you almost get hit, or do. If I lived in India I would think Austin is weird but I don’t. But now coming from India, I don’t think (India) is weird. I think it is unique. We are back from Bhutan and packing up for the final 2 weeks of this first leg of travel. However, there is one, very important topic that we haven't had the chance to cover yet - happiness. In fact, Bhutan's reputation as one of the happiest countries on earth is part of why we put it on our list. While other countries measure their success in GNP, Bhutan has made a conscious decision to measure their success in GNH. The government, which is a democracy with a Prime Minister, also has a King (culture) and Abbot (spiritual), has a mind, body, spirit structure that reminds me of The Making of a Corporate Athlete. The 3 have united on an 100 year plan for the country based on 4 key pillars: Equitable and sustainable socio-economic development, Good governance, Preservation and promotion of culture and Environmental Conservation. These pillars are then supported by 9 domains: Living standards, Education, Health, Environment, Community vitality, Time use, Psychological well being, Good governance, Cultural resilience and promotion. These are measured by 33 indicators on the GNH index which includes a survey. The results are then used to inform policy. While Bhutan is not without its challenges, this approach has led to longer term thinking and decisions that take into consideration the impact to future generations. For example, the country has decided that hydro-power will be their primary revenue generator vs timber. As a result, 72% of the land is forested. This trade-off means slower economic growth but a more sustainable and environmentally friendly future. It is worth noting that Bhutan is not without its critics, nor its issues. My perspective is that there are always going to be trade-offs and room for exploitation. That said, what we observed is that this country, which had no TV until 1998 and internet until the early 2000s is developing at warp speed, thoughtfully. More importantly, it has a non-partisan lens for decision making - a core set of unifying values. Sadly, I don't think our country is in a position to adopt such thinking. However, interestingly enough, (if you include tourists) the country has roughly the same population as Austin. As the Austin Community Foundation kicks off its strategic planning process, I wonder how much Bhutan could serve as a guide for our beautiful city? Our guide, Dorji, sent us off by sharing a Bhutanese saying: To live a happy and long life, eat half, walk double, laugh triple and love without measure. I'm just going to let that one sit with you all for a while. Today I woke up and my mom came and sat next to me and sang happy birthday in the weirdest ways she knows like 20 times. I honestly don’t know what happened. Then we got dressed for Tiger’s Nest and went down stairs for breakfast. I was hoping they had some sort of pancakes, but when I looked at the menu I saw chocolate pancakes! It’s like that menu was made for me! I finished them up and even finished part of my brothers for him. When the van was ready and we got all the snacks we could find and we got in. It was an easy 10-minute drive to the base of Tiger’s Nest. My mom and I got a hiking stick and we were ready to hike! As we were walking up we saw horses; a lot of them. We were walking up and it felt really easy to me. Before I knew it, we were standing on the halfway point. We walked up some more and I could tell that the hike was getting harder. After a while we had to walk down and then we walked up a billion stairs. Finally, we got to Tiger’s Nest. We did not learn much because our other guide basically told us more information than I would learn in a whole school year about everything you need to know about Bhutan. We lit a candle for my birthday, that was so cool! When we were done, we walked back to the trail and made it down in half the time that it had taken us to get up there. We went back to the hotel and I took a shower. After I got out of the shower I saw my dad videotaping and a cake that said, Happy Birthday Amelia on it. I don’t know why at this moment because I had a towel wrapped around me. But, it was amazing! We cut open the cake and…it had layers of chocolate in it! I took a bite from it, so yummy! Then, me and my brother and my dad played darts until the van got here. I hit it on the bullseye! Soon, the van got here. We got to a different hotel where I was told that I was getting a hot stone bath. After, we played archery and I got presents from our guides, a Bhutan soccer jersey and a really cool pencil bag. Next, was the cultural performances. They were so good, but at the end I was falling asleep. Some of them wore masks and jumped around and there was even an archery dance. Finally, we went home and had some dinner and went to bed. Yesterday we learned that our dear friend has had her cancer return. For the first time in weeks, I suddenly have a very strong desire to be home with her and her family. I want to be there to hold her hand (and her husband's hand). I feel helpless, even more so being 8,417 miles away. She is a spark plug, a life force, a fire cracker. I know that she has this. I just wish I was there to tell her face to face.